3-in-1 pack based on mBot. You can construct three robotic models: a dancing cat, a head-shaking cat, and a light-emitting cat. 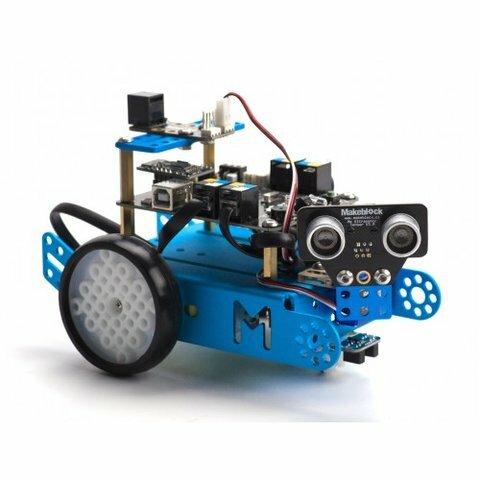 mBot Add-on Pack - Servo Pack allows you to build new programmable robots on your own using Makeblock mBot V1.1.You can construct a dancing cat, a head-shaking cat, and a light-emitting cat. Dancing Cat dances with music, waving little claw, calling you home. Head-Shaking Cat. Looking around for you with its big eyes. Cute, lively and cheerful. Light-Emitting Cat. The light pierces the darkness. It's brighter in the sun. 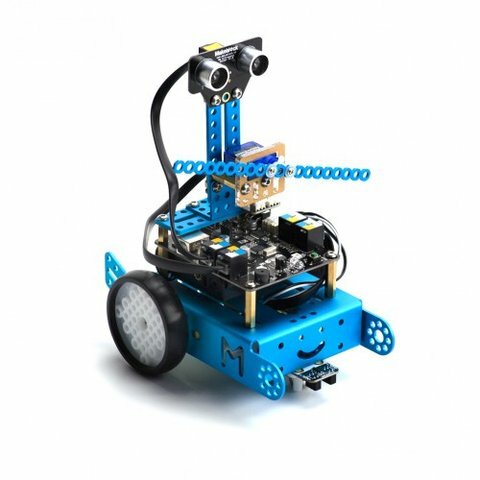 The kit is ideal for learning the basics of STEM (science, technology, engineering, mathematics). A set of beginner-friendly instructions is included in the kit. 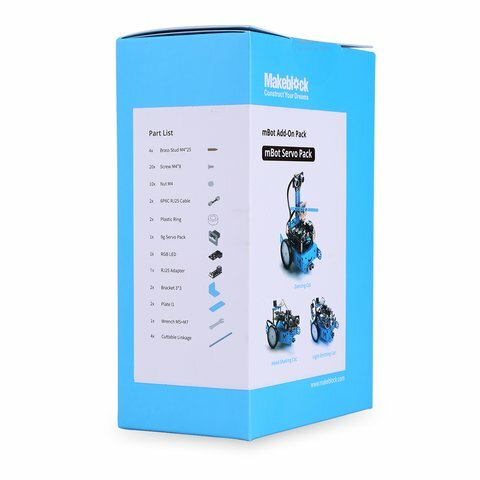 Download Makeblock mBot Servo Pack User Manual. Brass Stud M4 × 25 — 4 pcs. 6P6C Cable 20cm (black) — 2 pcs. RGB-LED V1.1 — 1 pc. Plate I1 (blue) — 2 pcs. Screw M4 × 8 — 20 pcs. Plastic Ring — 2 pcs. RJ25 Adapter — 1 pc. Wrench M5+M7 — 1 pc. Nut M4 — 10 pcs. 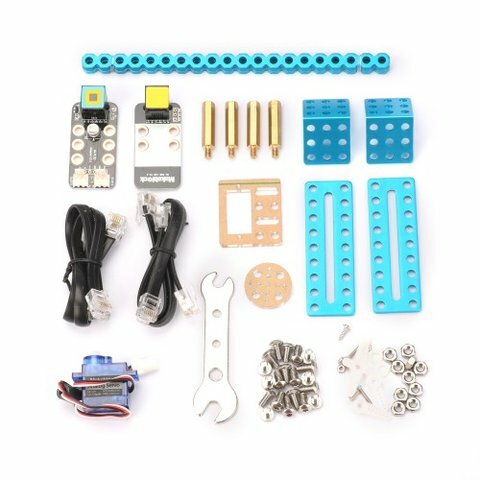 Servo Pack (9 g) — 1 pc. Bracket 3 × 3 — 2 pcs. Cuttable Linkage (blue) — 4 pcs. User Manual — 1 pc.